How far would you go to be loyal to your childhood friends? How far would you go to protect them, avenge them? And how would you hide from the consequences when they come back to stalk you? The Kult is a serial killer thriller which brings to my mind classics such as Seven. The cat and mouse investigation with a meticulously well-planned serial killer, the grittiness of the settings and people, the gruesome murder scenes and the promised significant end-game would resonate well with fans of that movie. However, this story goes a bit further and challenges the morality of our detective, providing another layer (and complication) to the plot. Like all good thrillers, this one is a real page turner. I found myself bounding through chapters that were of easily digestible size while focused on advancing the plot, even while our hero’s investigation is being mired in his own tangled web of misplaced loyalties and old, binding childhood pacts. The detective, Prosper Snow, is a fairly jaded character wracked with guilt over an accident which crippled his wife and a begrudging member of a pact created by four outcast children when he was fat and mercilessly teased. I’m not sure I was overly convinced by Snow. His childhood experiences seemed a little over-the-top for my liking. Where one character summarises him as obviously destined into a life to help others, this didn’t quite gel with some of his actions performed on behalf of friends over the years. Although he does attempt to make some kind of moral stand in the story it all seems too little, too late for me. His friends, although not very deeply explored for the most part seemed a little less problematic. The author has tried to put together a pretty ambitious plot. For the most part it is executed well. However, again Snow seems to be the weak link. For a good deal of the story he seems to be staring stupidly at photos with a shocked expression and bumbling through his own mess in a way that made me want to scream. Then suddenly we see insight and intelligence as if from nowhere. Maybe he’s just a completely self-absorbed person who finally pulled his proverbial finger out and started trying to solve a case. It’s hard to say, but luckily Oracle, our serial killer, was very entertaining and much more consistent. When everything heats up, it’s a roller coaster ride, but not without one or two further incongruencies. For example, why would a police officer with a loaded gun choose to run away from an attacker without a gun rather than shoot? To satisfy the author’s overriding aims rather than to present a logical plot development to be sure. There’s quite a few loose ends as the plot becomes quite messy and I believe the author has done a fairly admirable job of tying them up. However, there are some convenient elements that assist such as a witness who seems content to fade into the background and a partner hell-bent on keeping only one copy of her investigation notes (apparently not believing in sharing or keeping digital copies of anything). This isn’t to say that I didn’t enjoy the book – I did so very much. I loved the Oracle even if I did manage to work out who he was well before the actual revelation (the author’s clues were pretty heavy-handed). Even after he was revealed he still provided continued entertainment. I liked quite a few of the additional cast and found the story compelling despite the issues I had. The prose itself is really good. I enjoyed the language he used and could picture some of the imposing or just downright depressing settings of the book. He seemed to exercise a good command of some of the gorier aspects of the story. They are certainly there throughout, but I didn’t sense the relish that sometimes permeates such descriptions and leaves me wondering whether such scenes are supposed to have a somewhat pornographic feel. For that I was thankful. 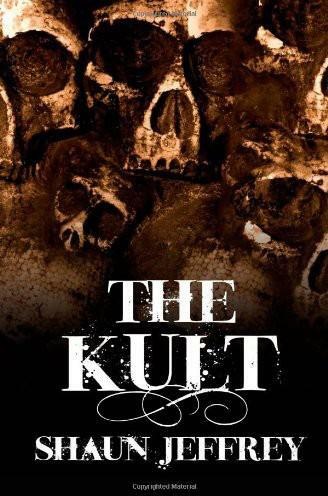 If the serial killer thriller is your milieu, I would give The Kult a try. And if you like it, the author has published a second Prosper Snow book complete with another serial killer to chase. This entry was posted in 3.5, Mystery, Novel, Reviews and tagged Crime, Mystery, Thriller. Bookmark the permalink.